The manufacturing of purpose made food for dogs is a fairly new undertaking given that man and beast have co-existed since the dawn of time. American, James Spiller is often credited with creating the first commercial dog biscuit. 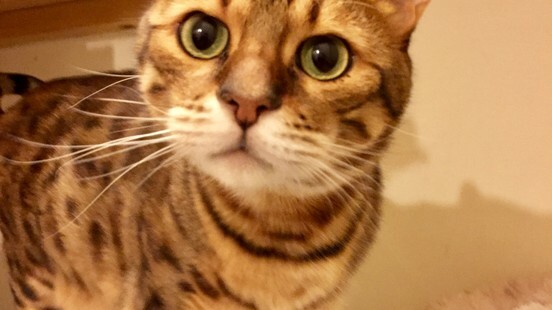 Legend has it that whilst his ship was docking in England Spiller was shocked to see dogs waiting for scraps and ships biscuits to be thrown to them. It was Spiller’s eureka moment. 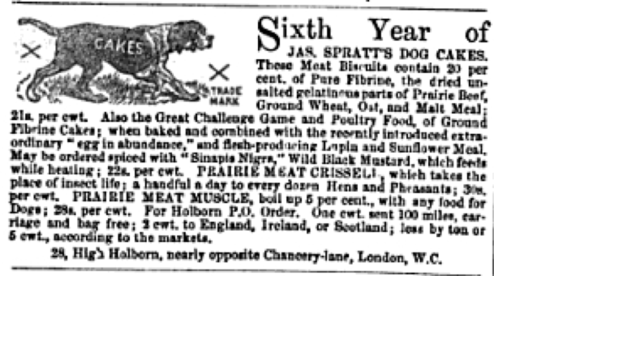 In 1860 the simple idea of patenting his recipe for dog biscuits pioneered a new industry in the manufacturing of food stuff specifically for dogs. This industry is globally currently estimated to be worth £70 billion (www.petfoodindustry.com14/02/17). ‘Dog-biscuit is a hard and well-baked mass of coarse, yet clean and wholesome flour, of an inferior kind to that known as sailors' biscuit; and this latter substance, indeed, would be the best substitute for the former with which we are acquainted. A bag of dog-biscuit of five shillings' value, will be an ample supply for a yard-dog during the year: it should be soaked in water, or " pot liquor," for an hour or two; and if no meat be at hand, a little dripping or lard may be added to it while softening, which will make a relishing meal at a trifling cost’ (Agriculturalist's Notebook - vXII", William Blackwood, The Quarterly Journal of Agriculture, Vol XI, 1841). Others suggest the need for a mix of food types including the inclusion of vegetables in a dog’s diet including‘…farinaceous and vegetable articles — oat-meal, fine-pollard, dog-biscuit, potatoes, carrots, parsnips’ (John S. Skinner, (1827) The American Farmer). Those marketing early dog biscuits were keen to sell them based on their nutritional benefits, with claims of a percentage content of ingredient including bulls blood, beetroot and meat amongst others! The concerns of the dog food manufacturers of the 19th Century seem very similar to those in the pet food industry of today – with the focus being on identifying and advertising the best nutritional based product for our dogs. Here however the similarities end. 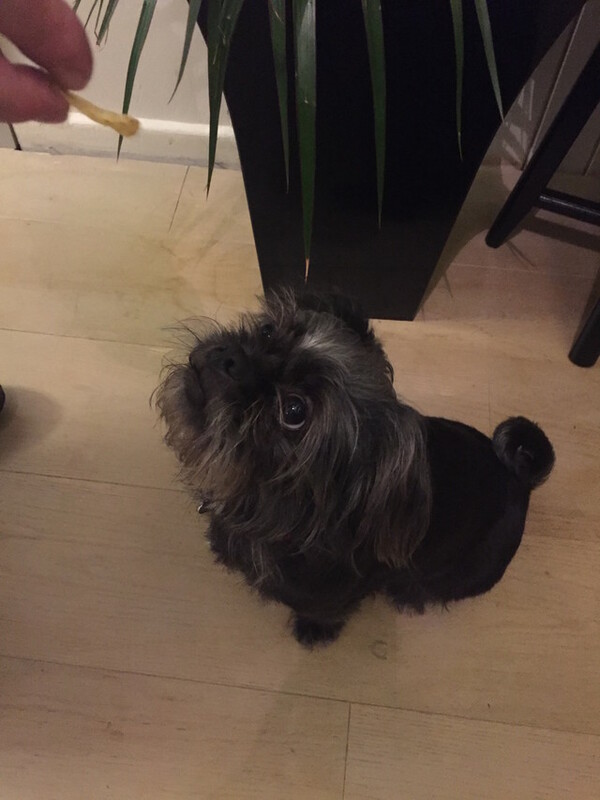 Firstly dog biscuits were unregulated and, ‘according to John Foster MRCVS, Chairman of the Pet Health Council, up until recently this has impacted negatively on canine health. ‘We saw bad coats, poor teeth, poor digestion, rickets and shortened life spans. This was all as a result of inadequate nutrition. The widespread feeding of prepared pet foods and advancements in these diets has made a major difference. 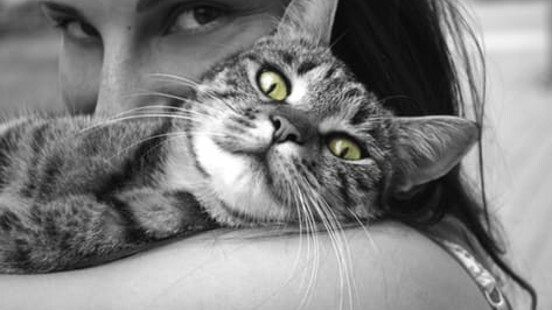 Pets are now living longer, healthier lives and we just don’t see the nutritionally related conditions we used to." Secondly figures released by the PMFA, (Pet Food Manufacturers Association) show ‘prepared pet food accounts only for approximately 60% of the dog's… calorific intake’. So, what makes up the rest of a dog’s daily calories? 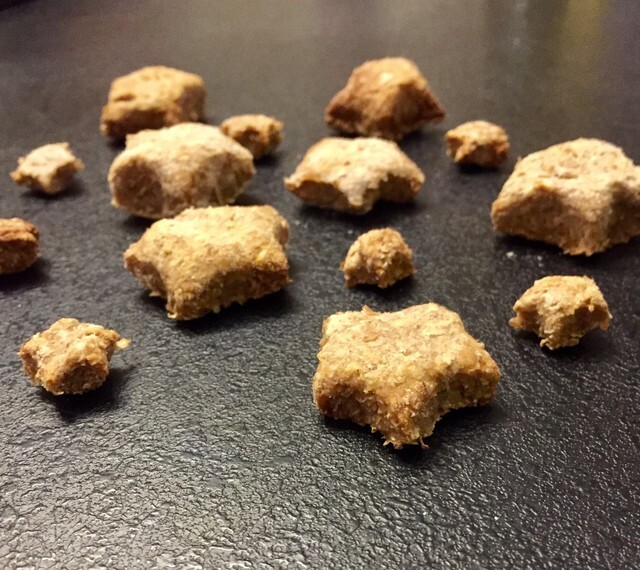 One possibility suggested by the rise in pet obesity is that consumers are now feeding dog treats to their pets to complement their diet, but there is often a high calorie intake in shop bought treats for pets that may be increasing your pooches waistlines if not sensibly controlled. 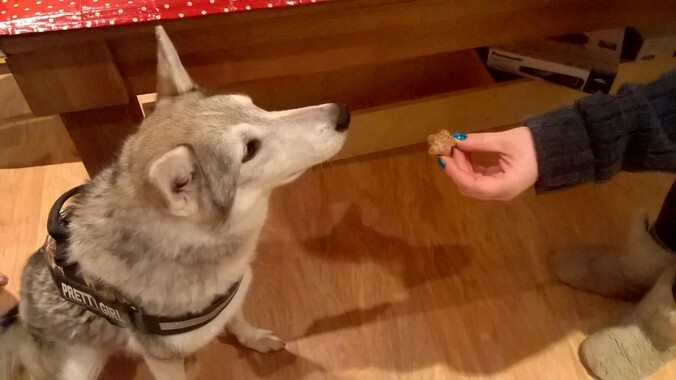 TRAKZ is all about keeping our furry friends safer, happier and healthier - so for Dog Biscuit Appreciation Day we have been looking at tasty, homemade healthy recipes for your pooch. We tried this one as advertised by The Guide Dogs For the Blind Association 2017 - with waggy tails all round from our dogs here at TRAKZ HQ. Click on the link below for recipe details. 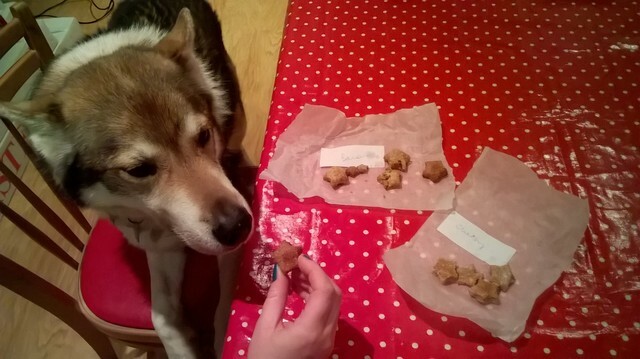 Don’t forget to send us pictures in of your pooches enjoying your homemade treats! Stay safe out there!